Same here. I was expecting it to be kind of boring, but it is anything but. Heh, I remember my advisor reflecting on his reaction to the first images of the outer planets from the Voyager missions. 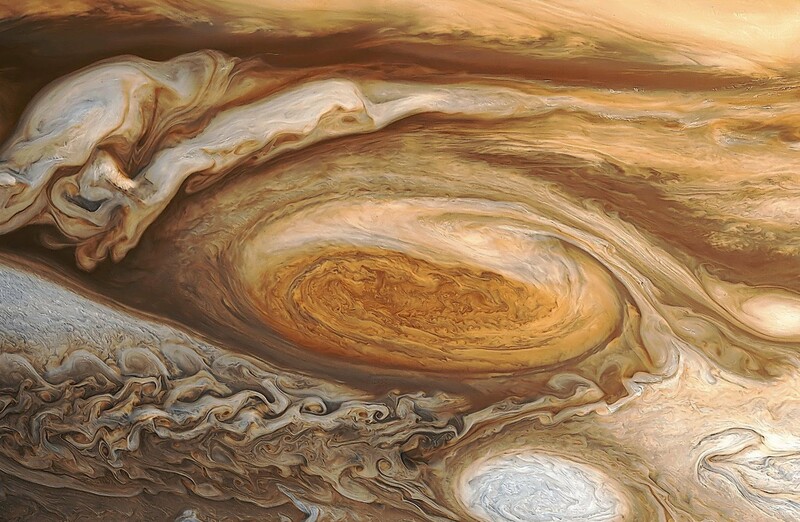 Jupiter: WOW! Look at those clouds! I have nothing against the classification of Pluto as a dwarf planet. I think he can be proud to be the first of a class of its own. Additional classifications to the well-known like planet, asteroid, comet, makes perfect sense. But I find the reasoning, Pluto had not 'cleared' its orbit; stupid. He has cleared his path, as far as it was possible, with its mass. By the same reasoning, one could say, Jupiter is not a planet, because he has neither the asteroid belt, nor Saturn 'cleared'. He is not massive enough. If he had 12 times the mass; he would then still not be a brown dwarf, he might have the asteroid belt, maybe Saturn 'cleared'. And he is a member of a group of similar objects, even though this group has only two members, himself and Saturn. By the same reasoning, one could say, Jupiter is not a planet, because he has neither the asteroid belt, nor Saturn 'cleared'. The asteroid belt and Saturn do not cross Jupiter's orbit. In fact, the asteroid belt exists BECAUSE of Jupiter's gravity, which proves its gravitational dominance. I think it's difficult to argue that a group of two objects should be considered a fundamentally different category of objects when most populations considered thusly are composed of millions of objects. Anyway this is getting off-topic for this thread, there is another thread about the definition of "planet" that could be used. ^I second that. The other thread on defining planethood had some really excellent discussion; I highly recommend it. Hahaha! It seems that the universe pulled a joke on your advisor. The planet Uranus does look rather dull compared to Saturn and Jupiter. 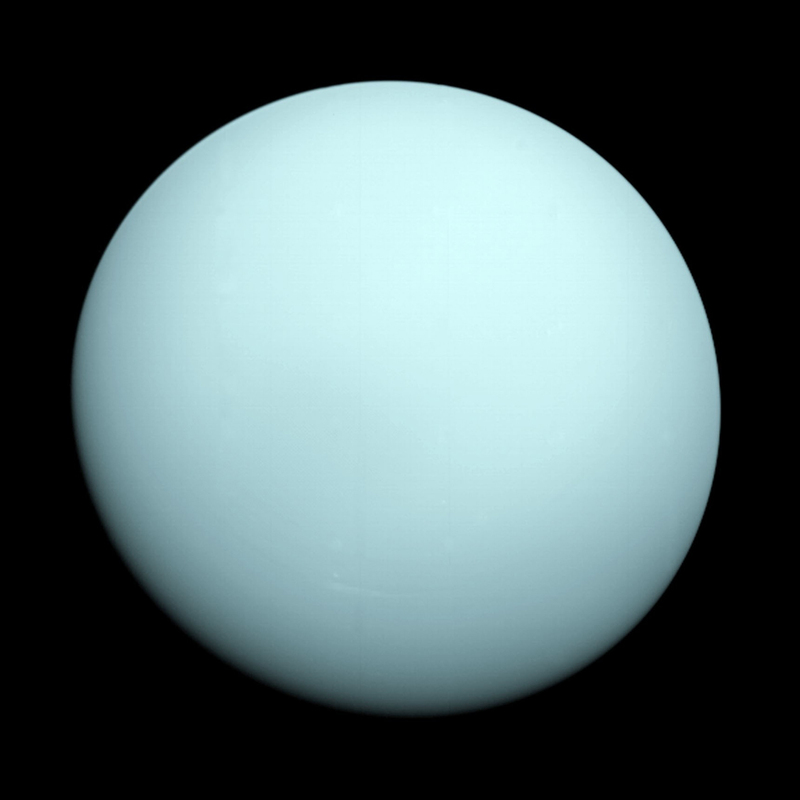 The planet Uranus does look rather dull compared to Saturn and Jupiter. At least it did at the time of the Voyager flyby. If you remove rings from Saturn, it become no more spectacular than Neptune. All cold gas giants looks boring. I must update SE shaders. If only pluto had rings and was the size of earth but the same color/moons/surface features. Then it wouldn't be a dwarf planet. Charon would be size of mars and the 2 would be viewed as giants not as dwarfs. And all the other objects would be tiny compared to it the ones in the kuiper belt. If only earth had a ring system, but a bit fainter than saturn's. Or if we had discovered our sun's binary a faint brown dwarf or a y dwarf, out there in the outer darkness, with his system of worlds and very much life, but not in our terms. If only pluto had rings and was the size of earth but the same color/moons/surface features. Then it wouldn't be a dwarf planet. If that were true then the entire outer solar system would be shaped by their gravity, and of course they would be planets. But they're not like that. I don't see the point of this hypothetical exercise. Pluto has even more water ice than previously thought. lol Pluto is composed at least by 50% of water ice. It is Iceworld in SE classification - have a rocky core and ice mantle and crust. 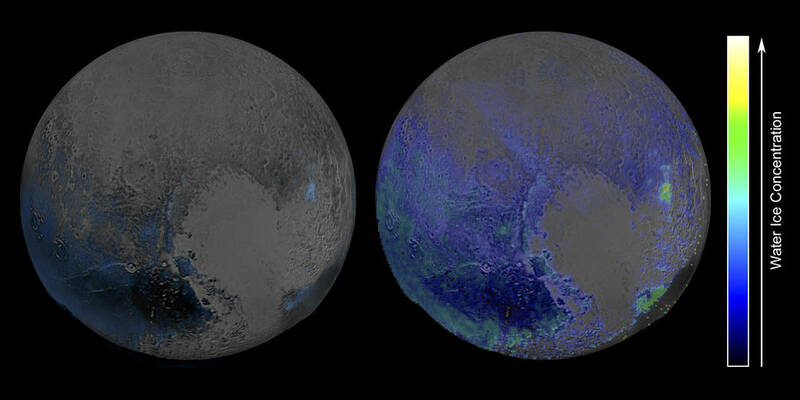 This pictures must be interpreted as reversal - amount of not H2O substances, covered icy crust of the planet. But, the clouds seem invisible in B&W that no one would notice that.